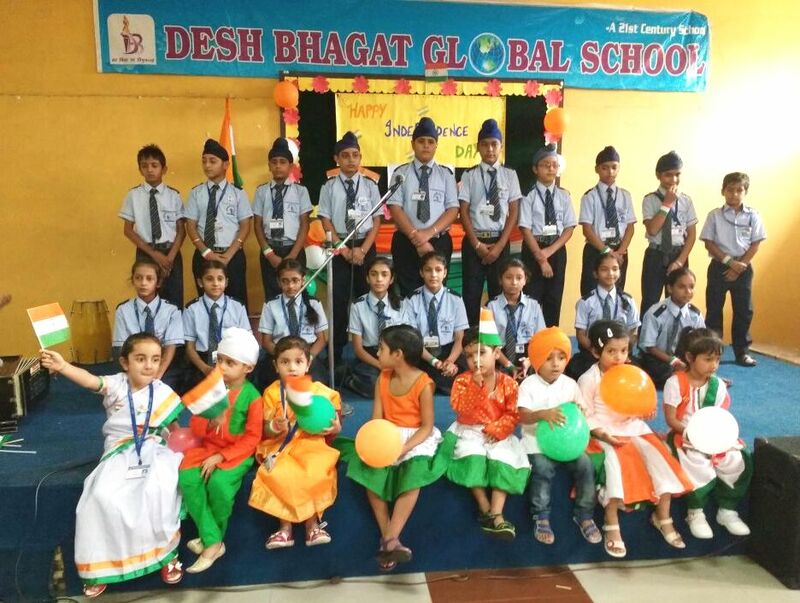 Desh Bhagat Global School celebrated 70th Independence Day with full zest and zeal. A Special function was organised on this occasion. School students presented group dance and sang patriotic songs. The melodious song 'Sare Jahan Se Achha Hindustan Hamara' mesmerised everybody present there. All the students were looking very lovely with little Tri Colour Flag in their hands, in Tri Colour Dresses and also coloured their cheeks with Tri Colour flags. Sweets were distributed to all the students. While giving details about the celebrations Principal Vinod Kumar Sharma said that students proved their talent by participating in Quiz , Drawing, sketch-making, poetry recitation and patriotic song singing competition based on Independence. 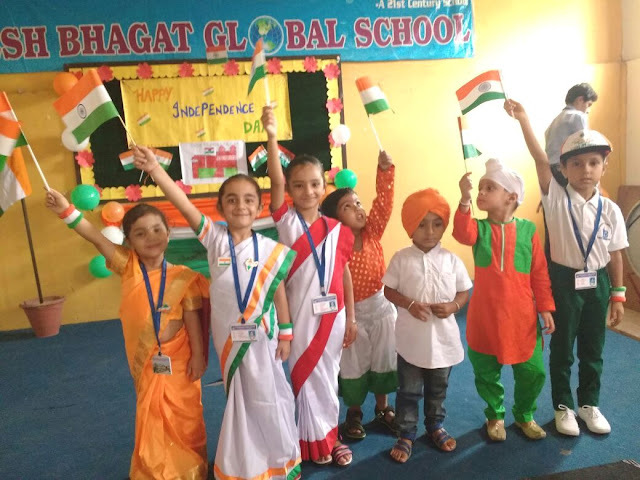 Dr. Zora Singh Chairman Desh Bhagat United and Ms. Tajinder Kaur Vice-Chairperson Desh Bhagat United appriciated the students for their feelings of nationalism and patriotism. They expressed their views and conveyed that we got freedom after long struggle by sacrificing numerous lives; we should honour and remember those martyrs. They also shared their thoughts about freedom and conveyed best wishes to all present.